LIVE OUT LOUD IN LA! 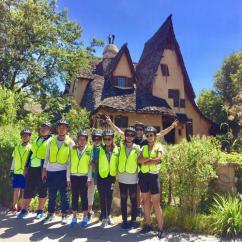 Los Angeles guided city tours from Cloud 9 Living give you unique ways to paint Tinseltown! 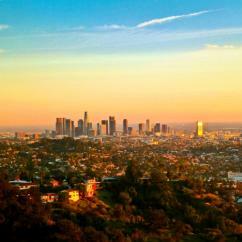 Explore California's renowned City of Angels and beyond with top-notch tours in Los Angeles. 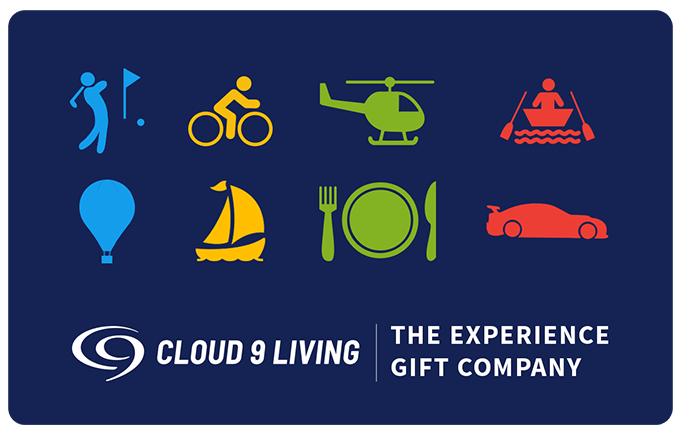 Cloud 9 Living is your one-stop shop for superb LA sightseeing — boasting only the best in food tour eats, famed attractions, and lifelong memories. 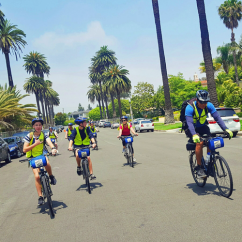 Hike or bike to your heart's content in Hollywood and its surrounding areas! 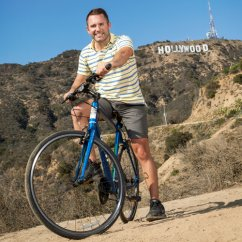 Pedal around the film capitol of the world, soaking up sights literally only seen in movies. 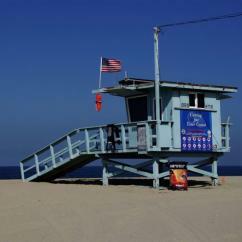 Check out celebrity homes, escape to the Santa Monica Pier; glide through Beverly Hills and along Route 66. 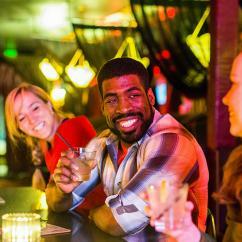 See studios and theatres in an up-close and personal way, and so much more on these incredible Los Angeles guided city tours! Or, snag snapshots of one of the most renowned LA attractions, the Hollywood sign. Hike up to the brilliant landmark at sunset, grabbing unforgettable photo ops and overlooking countless filming locations. 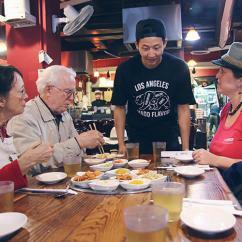 Give your taste buds the star treatment they deserve on tours in Los Angeles that feature the city's finest foods! 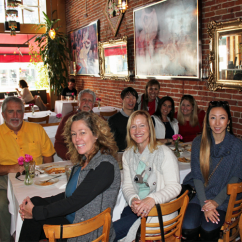 Take to the outskirts of LA and stroll through the lively, diverse streets on the Old Pasadena Food Tour. Sample delicacies from area cafes and restaurants, highlighting the likes of global fare, gelato, chocolate, olive oil, and more — all mixed with fascinating local history. 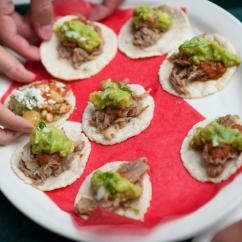 And speaking of cultural cuisine, put a new spin on good ol' LA sightseeing with the Latin Flavors Food Tour! 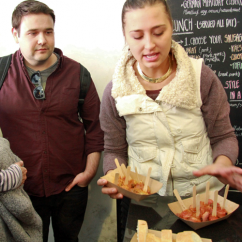 Not to be missed by locals or visitors alike, experience some of the most authentic Los Angeles attractions around — tasting treats like tortillas, family recipes, traditional tamale dishes, and more. 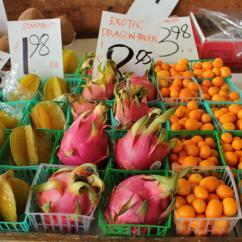 And don't forget about the local fare showcased at the one and only Farmer's Market at Fairfax! From ethnic eats to homemade candy treats, and plenty of mouthwatering dishes in-between, your taste buds will thank you for exploring this legendary landmark. Of course, no collection of Los Angeles guided city tours would be complete without some LA sightseeing by Segway! 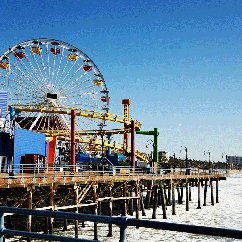 Head to Long Beach to experience the sights and sounds of downtown, the marina, Rainbow Harbor, Queensway Bay, Laugh Factory, and many more urban attractions on this unique excursion.